Over the last several decades, women have made strides in the corporate world, in many cases launching their own enterprises and some taking the helm at Fortune 500 companies. Despite such progress, sexism remains a significant hurdle in business. Sexist attitudes are certainly well-entrenched in Asia. I have had my own experiences with sexual harassment and gender inequality, and I identify with the #MeToo movement that has swept the United States. Not only have I had to deal with inappropriate behavior by business men during meetings, but am constantly asked when I will marry. I have even started a #StandTaller campaign to combat gender bias and promote better dialogue between the sexes. It’s a real battle to strive to eliminate the structural sexism that exists in society. One of the challenges we face is that gender stereotypes start very early. As a millennial I have some advice for women rising up the corporate ladder. To compete with men, some women might believe they should act like men, which can translate into being abrasive and domineering in conversations. That’s not how women highlight their natural leadership qualities. I think there is great strength in a woman’s negotiating skills and ability to listen. There is plenty of research that demonstrates how a company’s operational abilities improve when there are more women on the board. Even a woman who holds a significant position in a company sometimes can be expected to perform menial duties, such as taking notes or making coffee, especially if she’s the only woman in a meeting. Avoid that trap, and certainly don’t volunteer. It’s best not to offer to make everyone else a cup of coffee until you reach a senior enough position where this is viewed as a positive gesture, rather than a given. Speaking of note taking, a supervisor once asked a friend to do just that. She declined, telling the supervisor it’s always women who are asked to take notes and until they refuse it will stay that way. This is one example of ways women can stand taller in the boardroom. In order to dismantle sexism, we need men to help. Women cannot eliminate sexism on their own. The good news is that more and more men are eager to do this. There are five words I call “boardroom bridge builders”: “Do I have your support?” Those five words are critical because the create unity not separation. They encourage support. For me, in the boardroom, I have found these five words to help push forward in the most challenging times. As the deputy CEO of THP Beverage Group, the leading Vietnamese beverage company founded by my father, I do my part when it comes to gender equality. I have ensured that THP Beverage Group offers women the same opportunities as men. We have 10 senior directors and four are women. My sister is also a deputy CEO, and she and I try to set a very strong example for women leaders in our company. We work to boost the number of female employees overall, as well. It helps that our father has never discriminated between men and women. It did not matter to him if we were sons or daughters. He just wants the right person for the job. Phuong Uyen Tran is the author of “Competing with Giants: How One Family-Owned Company Took on the Multinationals and Won” (www.competingwithgiants.net). 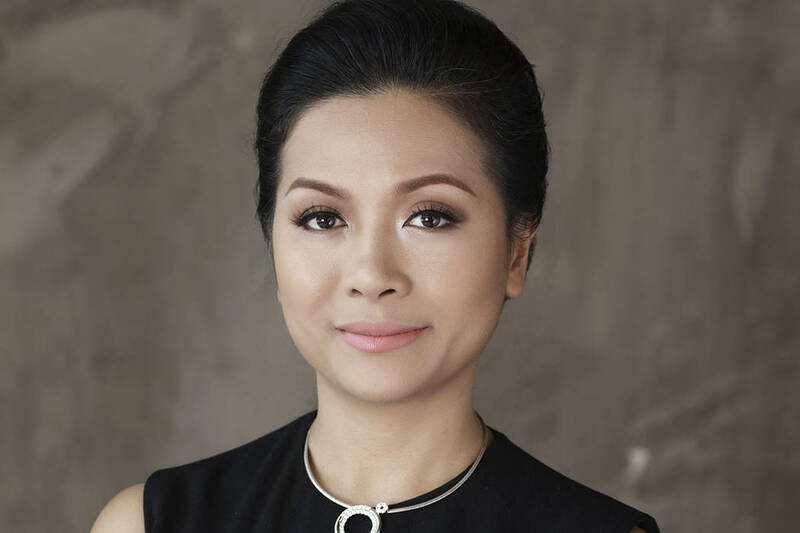 She is the deputy CEO of the THP Beverage Group, a leading beverage company in Vietnam that was founded by her father. Tran is responsible for the company’s marketing, public relations, and CSR programs nationally and across Vietnam’s 63 provinces. She also leads THP’s international marketing programs across 16 countries where THP’s products are distributed including Canada and China.